This week’s Weekly Photo Challenge has afloat as it’s theme, and the above photo combines floating boats, a jetty, and a few hippo in the background keeping cool in the water and watching us as we prepare to go afloat! 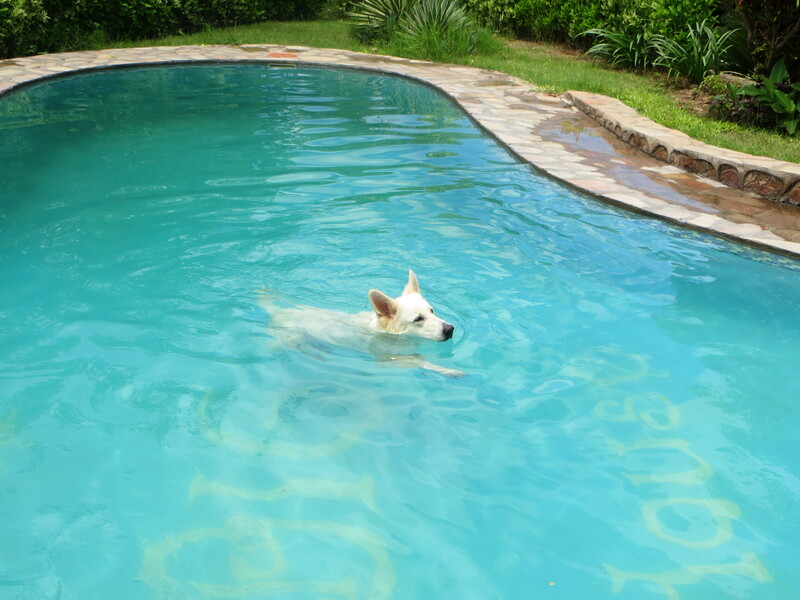 And a swimming pool is the ideal place to cool down in the African heat, especially if you are a White Shepherd with lots of fur! 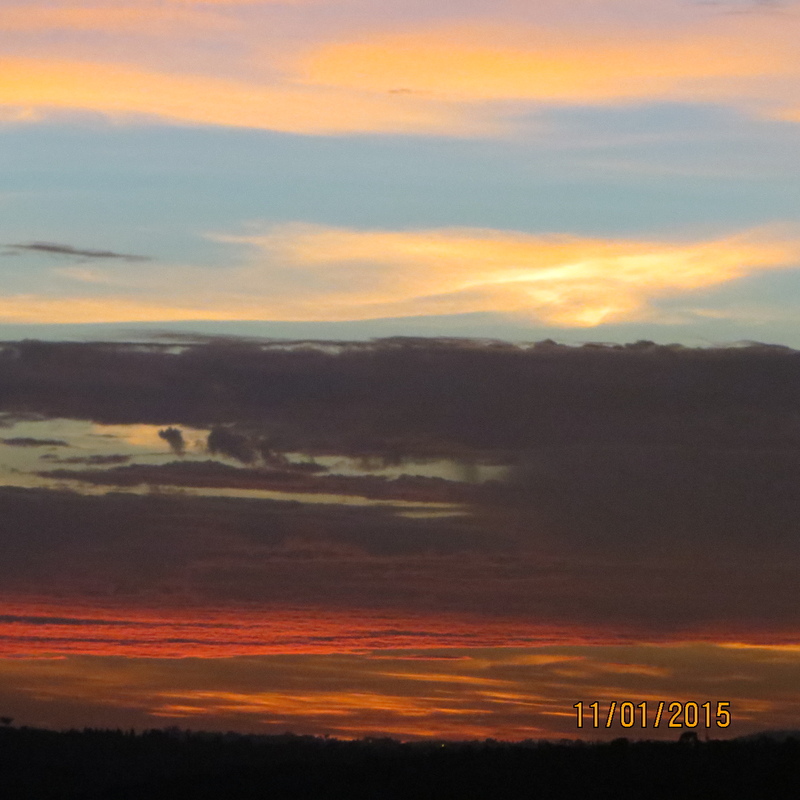 I think the best sunsets are those that have lots of clouds afloat in the sky, to make the colours more interesting.